Fresh from its triumphant but short reign on cinema screens across North America, Dragon Ball Z Resurrection F is coming to home entertainment sooner than you may be expecting. 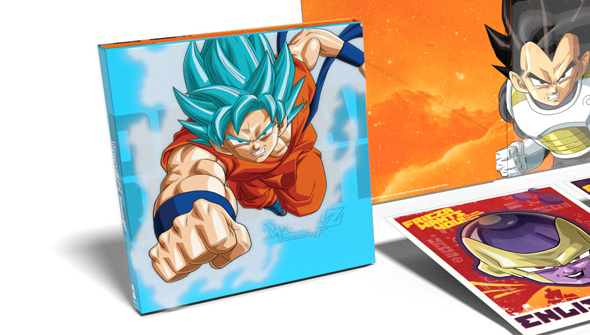 North American distributor Funimation have announced the details for the home release for the latest movie, which will be available in various editions to meet almost every fan's needs. First up will come the digital release for those who just want the film itself. It will be available from October 9th in Digital HD (including presumably iTunes, Amazon and other popular platforms). The Blu-ray and DVD release will follow on October 20th. If you're after a physical release, you'll have three options, collector's edition, DVD/Blu-Ray combo-pack, or standard DVD edition. 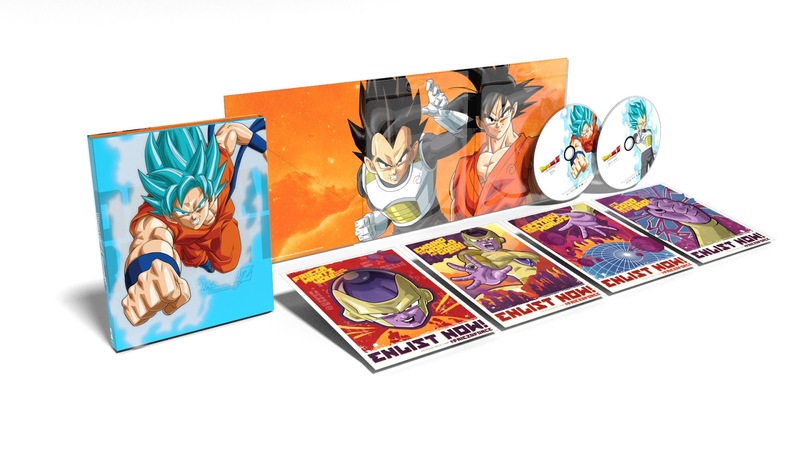 The CE and combo pack come with 50 minutes of bonus features, (mainly related to the US dub actors) with the Collector's edition also including a set of four holographic postcards. Funimation are also offering a Shenron T-shirt for $10 if you order it directly from their online store. Or you can Click here to preorder your copy from Amazon.